Day #2 Sneak Peek of Taylored Expressions May Release! Welcome back to day #2 of Taylored Expressions May release sneak peek! Here is Day #1 sneak peek post incase you missed it. Today I am showcasing two new stamp sets. The first one is called Lucky Stars stamp and die combo. I used the dies with the sentiment from the stamp set on my card. I wanted to do something outside the box. 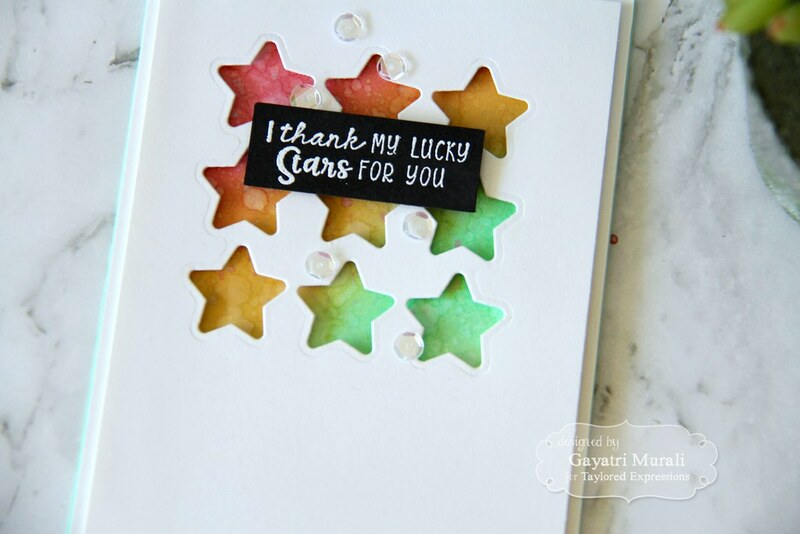 Yes, you can stamp the stars and die cut them out and use the die cuts on the card a million ways. But I decided to die cut a white panel using the dies and use the negative panel instead. On the background, I sponged Distress Oxide inks in Cracked Pistachio, Fossilised Amber and Worn Lipstick colours, spattered with water to get the distressed chalky effect. I then simply adhered the negative panel on top using foam adhesives. I then white heat embossed the sentiment on Oreo cardstock and adhered again using foam adhesives. The card is embellished with sequins from Snow Flurries sequins collection. Simple but very effective I think! All the supplies used to make this card are listed below. 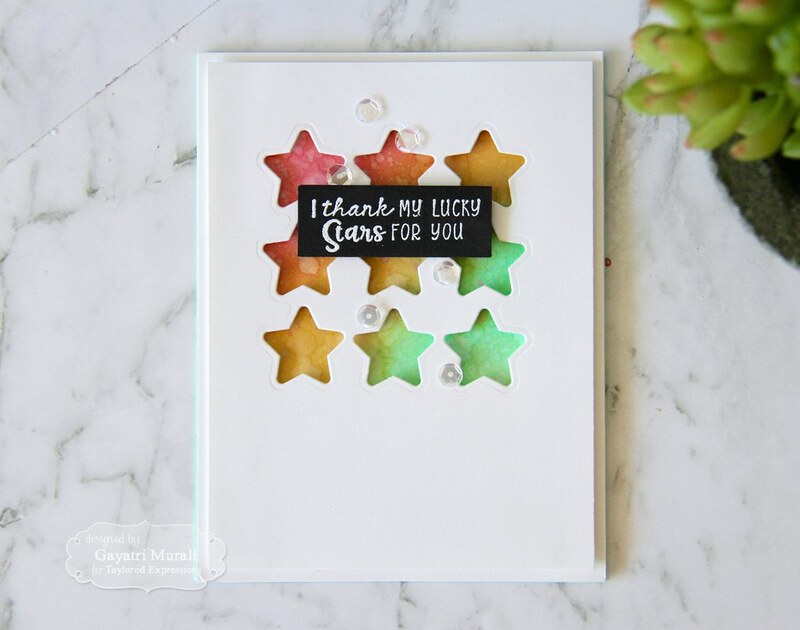 The second stamp set I am showcasing is called Stroke of Genius – Stars. 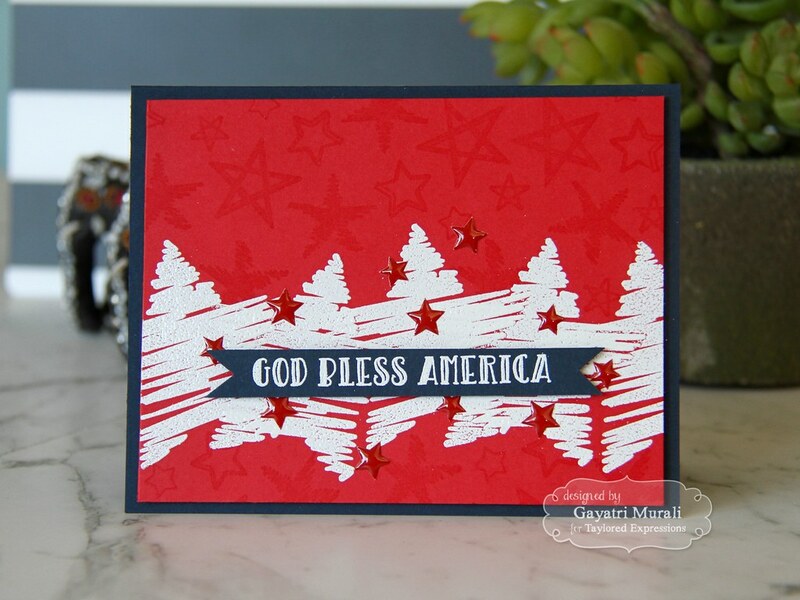 I have combined this set with the new Simply Said – 4th of July stamp set. 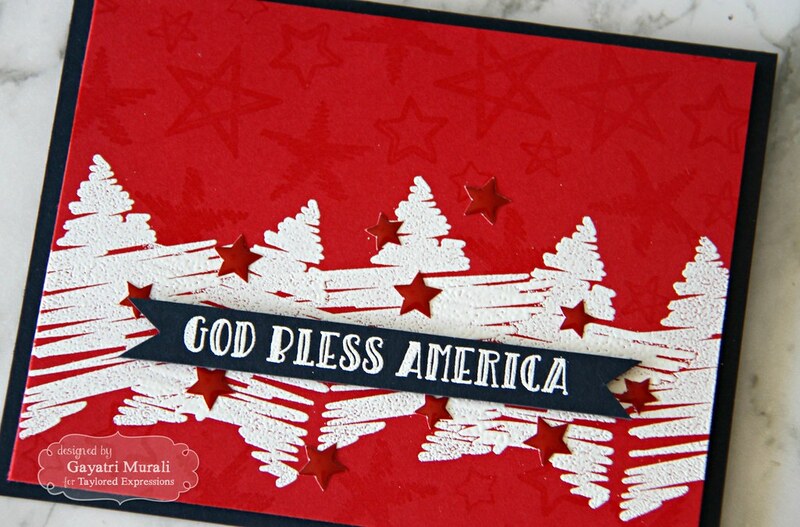 I made this card for 4th of July American Independence day. But I guess the Stroke of Genius-Stars stamp set can be used for any country flag with star(s) on it. Just change the colour and sentiment. I will be making a card for Australia Day next year! I have used Blue Corn TE premium cardstock as the card base. The red layer is using Watermelon TE premium cardstock. I stamped the cluster of stars images on the red panel using versamark to get tone on tone effect. I dried the versamark with the heat tool. Then I stamped the large zig zag star image using versamark and white heat embossed. I over lapped and angled the stars randomly. White heat seeting make sure you move the heat tool quickly once the white embossing powder melted especially on the overlapped area to prevent mushing of the embossing powder. 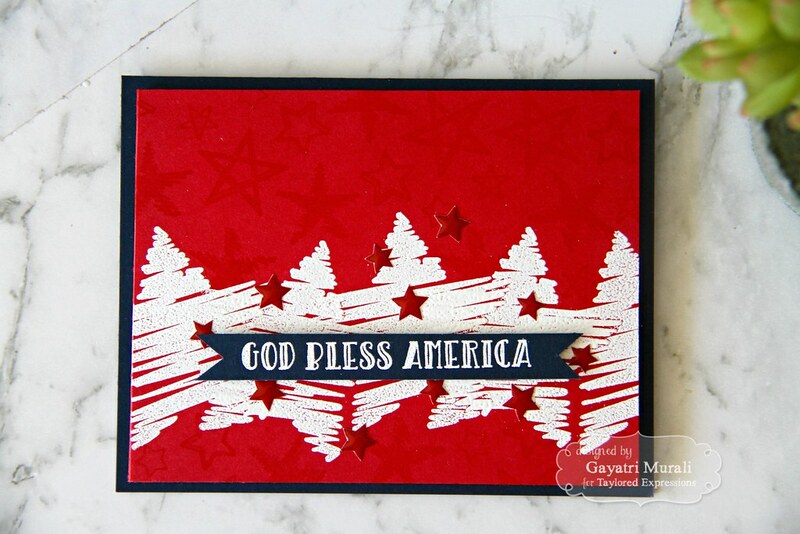 For the sentiment I white heat embossed the sentiment from Simply Said – 4th of July stamp set on a strip of Blue Corn cardstock. I trimmed fish tail end on either side and adhered on top of the white embossed stars using foam adhesives. To embellish, I added TE Cherry Pop enamel shapes around the sentiment. Thanks for stopping by today. See you tomorrow with day #3 sneak peeks. Love both your cards. So outstanding!